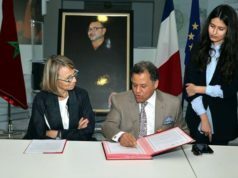 Paris - The president of Morocco’s National Foundation for Museums (FNM), Mehdi Qotbi, was received Friday in Paris by the French Minister of Foreign Affairs Jean-Marc Ayrault. 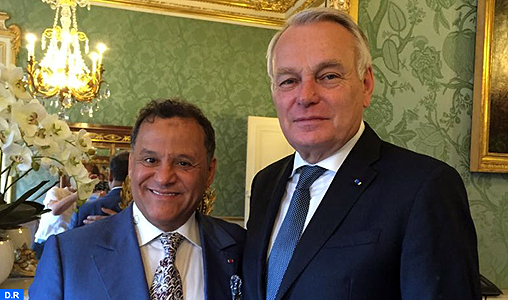 Paris – The president of Morocco’s National Foundation for Museums (FNM), Mehdi Qotbi, was received Friday in Paris by the French Minister of Foreign Affairs Jean-Marc Ayrault. On this occasion, Qotbi thanked the French government for its support, through its embassy in Morocco, to the retrospective exhibition of Alberto Giacometti held at the Mohammed VI Museum of Modern and Contemporary Arts in Rabat from April 20 to September 4, 2016. 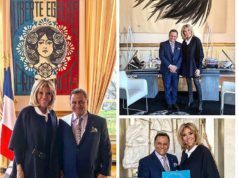 The two sides also discussed the participation of France in “Lieux saints partagés” and “Picasso” exhibitions, scheduled for 2017. Jean-Marc Ayrault said on this occasion that the support of France to the FNM is part of its desire to promote art and culture as bulwarks against obscurantism. Since its inception in 2011, the FNM has established several partnerships with France and its cultural institutions, which helped the organization of three major exhibitions in France.